1. 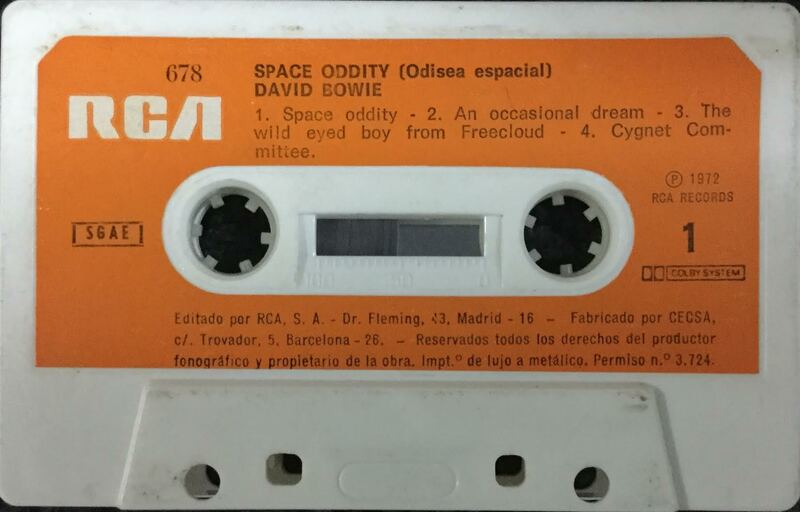 Space Oddity (Odisea espacial); Spain; 1st issue; RCA, 678; 1973. This issue and the later re-issue have the same catalogue number. J-card (cover) is printed on smooth paper and the cassette has paper labels. Red tab top cover, spine and rear panel. Cover picture bordered in blue. The cover has ‘VICTOR’ at top right in place of the later price code numbers. 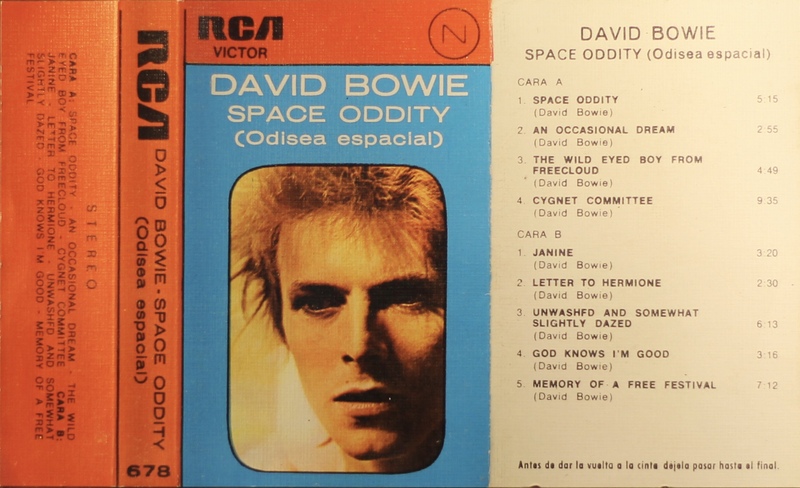 Inner cover shows other titles in the series and on the right the original release date 1973. 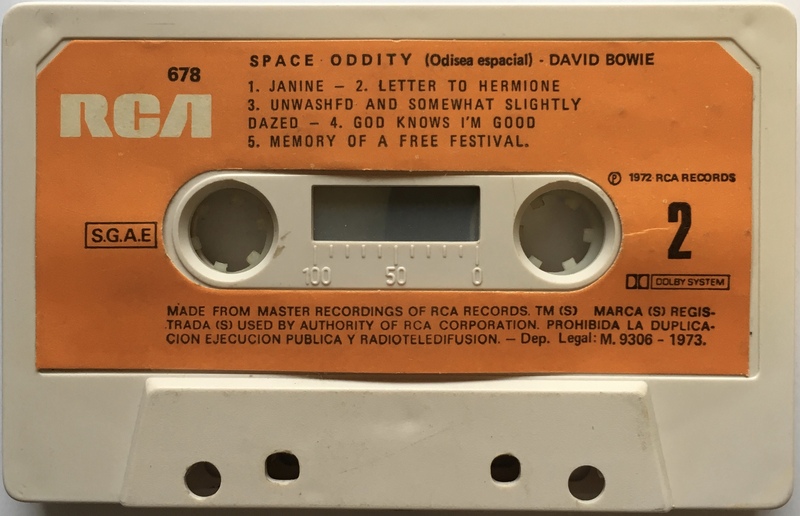 Information in Spanish on side 1 and in English on side 2 and mistake in the title Unwashed… as UNWASHFD. 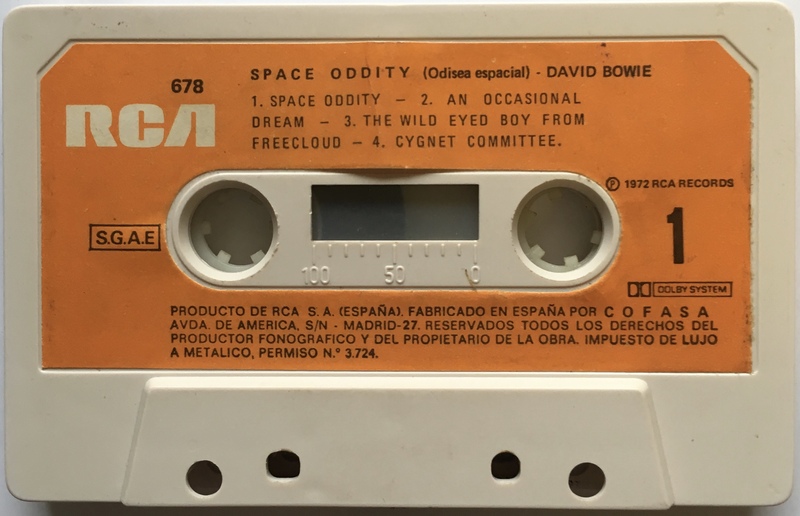 This tape was made at the COFASA (Columbia Fonogram Asociadas Sociedad Anonima formerly Fonogram) plant. Orange label on white shell with solid, horizontal white RCA. Track sequence has been changed from the original LP. 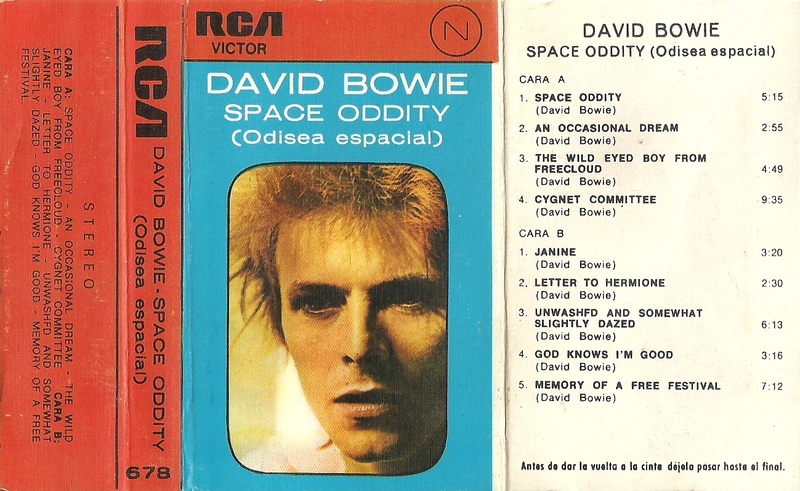 Space Oddity (Odisea espacial); Spain; 1st issue; RCA, 678; 1974. J-card (cover) is printed on paper textured like papyrus. Red tab top cover, spine and rear panel. 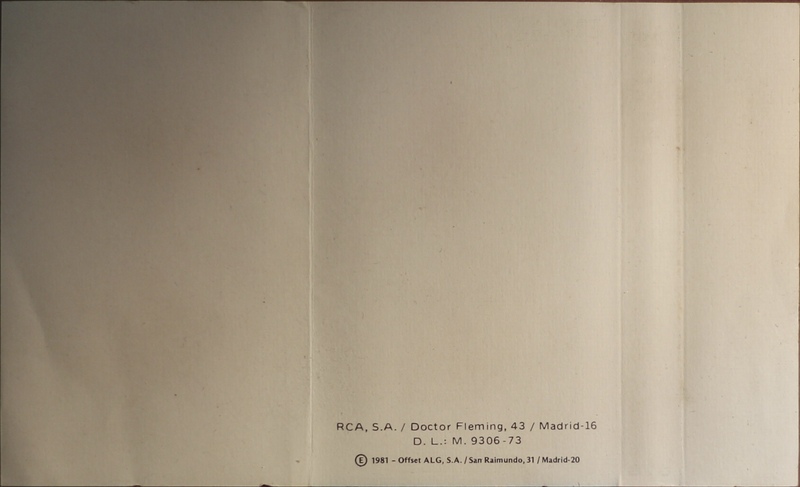 Cover picture bordered in blue. The cover has ‘VICTOR’ at top left and price code ‘N’. 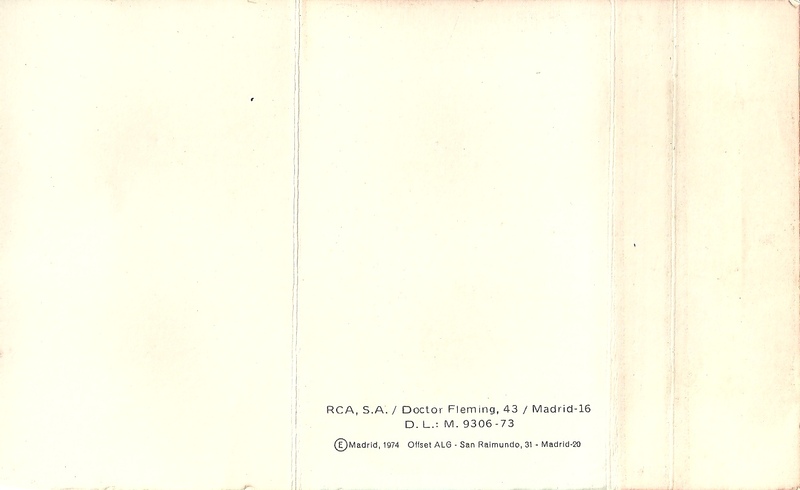 Inner cover shows other titles in the series and on the right the original release date 1974. Information in Spanish on side 1 and in English on side 2 and mistake in the title Unwashed… as UNWASHFD. 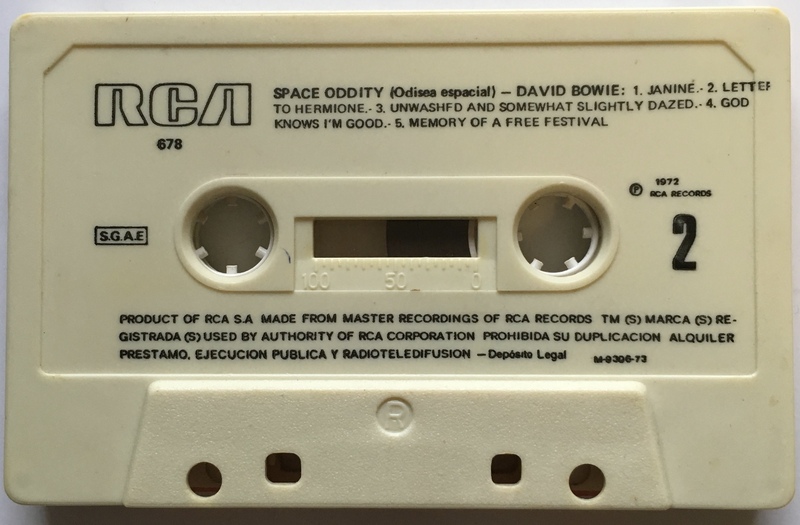 This tape has ‘Fabicado por CESCA’ on it’s label. 2. 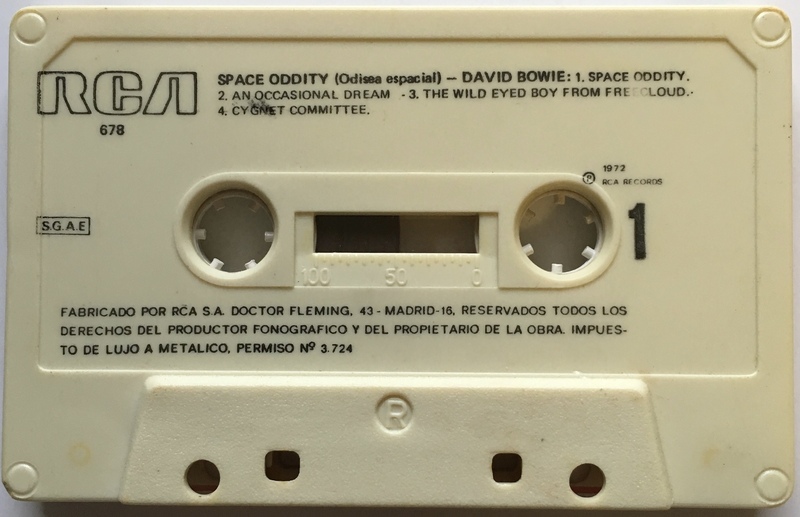 Space Oddity (Odisea espacial); Spain; re-issue; RCA, 678; 1981. J-card (cover) is printed on paper textured like papyrus. Red tab top cover, spine and rear panel. Cover picture bordered in blue. The cover has ‘VICTOR’ at top left and price code ‘N’. 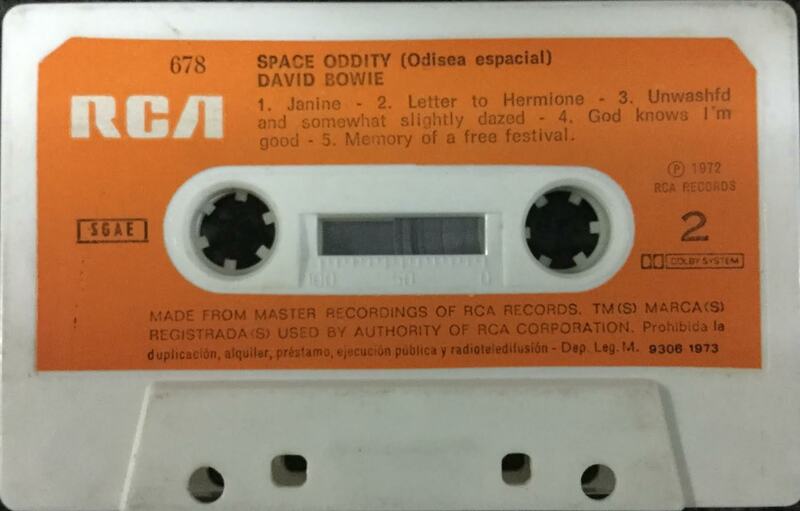 Inner cover gives the release date of 1981. Black text printed directly onto white shell with hollow RCA. Information in Spanish on side 1 and in English on side 2 and the mistake in the title Unwashed… as UNWASHFD that was also on the 1st issue eight years earlier.